What the Truck – Page 2 – What the Truck?! Love food trucks AND volunteering? Well, have we got a role for you! As we embark on another season of food-trucking, we are also on the hunt for someone to join the team as a volunteer coordinator. In addition to volunteer coordination, this role is an active member of the What the Truck?! committee and would be providing input and support in all other aspects of the work we do. If you think you’d be the perfect addition to the What the Truck?! team, e-mail us at team@whatthetruck.ca and tell us about you and what makes you awesome. If you’ve got ideas about how you could help make the 2018 What the Truck?! season the best one we’ve ever had, tell us that too! For good measure, you should also tell us what your favourite food truck item is. We will start reviewing applications as soon as they come in, but ideally would like to receive them by April 27, 2018. Say farewell to summer and hello fall! Tomorrow is our final wrap-up event for the 2017 food truck season at Capital Boulevard. Head over to our Facebook event, RSVP and share with your friends! Missed our last couple of blog posts? 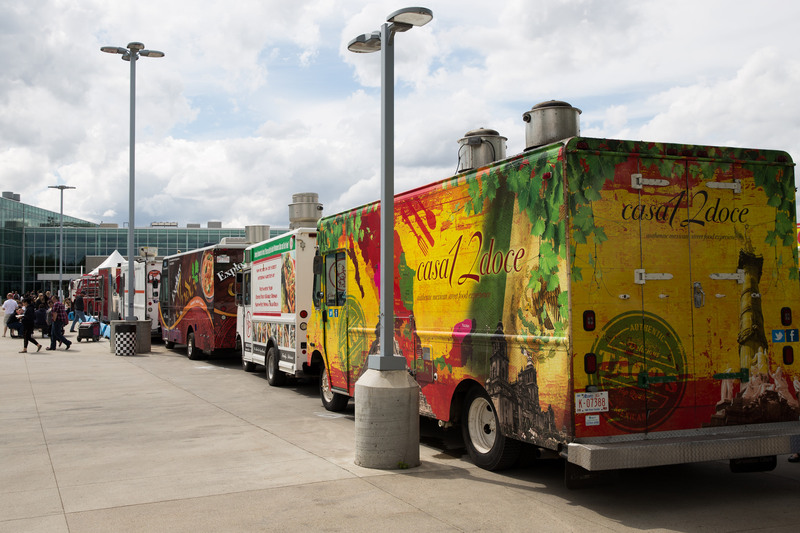 Click for participating food trucks and their menu spread here! 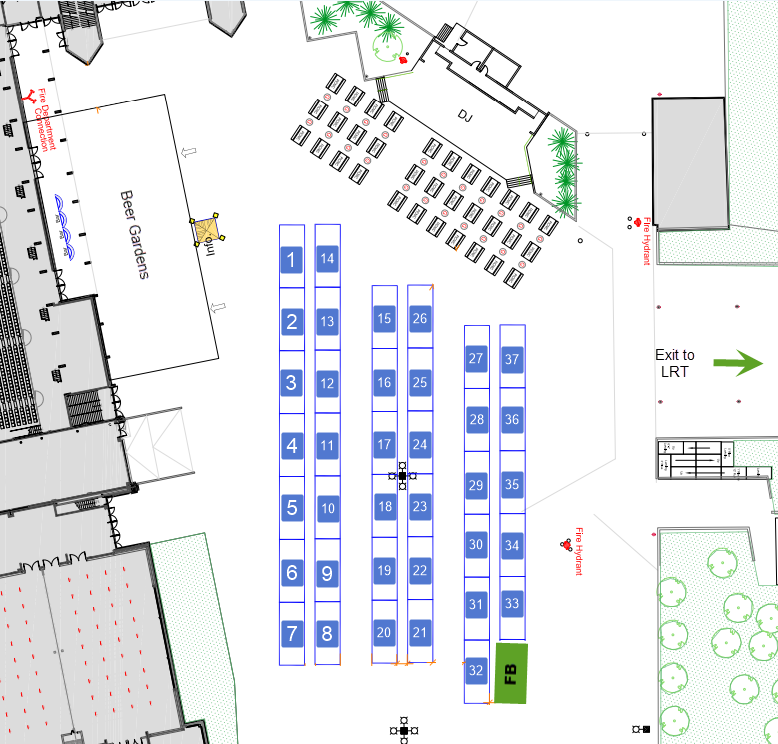 You can also download a copy of the menu and sitemap in PDF format for quick access. Download the What The Truck?! at Capital Boulevard Site Map & Menu PDF Here! Public Washrooms: Available inside the Edmonton Federal Building. Be sure to check out the visitor’s centre while you’re there! Donations Accepted: The Edmonton Food Bank will be on site collecting both food and monetary donations. Fur-mily Friendly: Dogs are welcome too! Please keep all dogs on a leash and be sure to clean up after your furry friends. Entertainment: It’s not a party without some tunes. Our DJ is ElectroKinetica, a member of the PüR LuV Entertainment crew. Check him out! 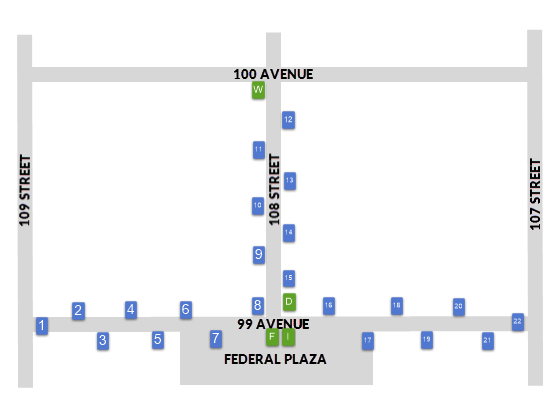 Seating: There’s plenty of seating in and around the Federal Building plaza – enjoy the fountains while you eat! They discourage bikes, skateboards, and rollerblades though. Be weather wise: Last but not least, please dress appropriately for the weather. We’re ready to feed you, rain or shine! Here are our tried-and-trusted Tips & Tricks as well as our Frequently Asked Questions. 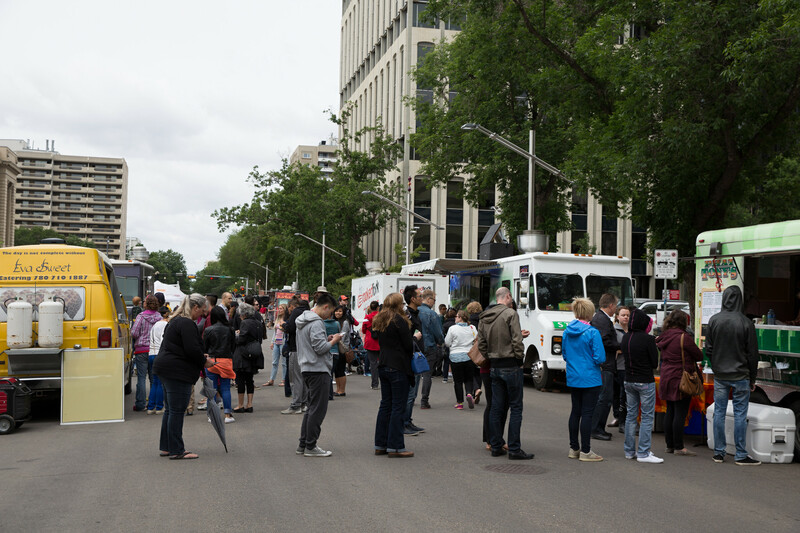 If you have any other questions while you’re at the event, you can always tweet us at @whatthetruckyeg or find one of our team members in our What the Truck?! gear (yellow shirts or jackets). Fall is in the air but that doesn’t mean summer is over quite yet! Join us for our final event of the season and explore our beautiful downtown! RSVP to our Facebook event and don’t miss out! Food truck lineup and menus will be posted soon. Keep doing the rain dance, guys – it looks like the wet stuff is coming and going before we kickoff our season this Sunday, so bring your appetite! Download the Menu PDF Here! Start planning your strategy for the What the Truck?! Kickoff event now! Only 5 more sleeps! Check back later this week for the sitemap and any last-minute notes!